Trudeau's Liberals have pledged to end grants, tax credits, and deductions for fossil fuels. 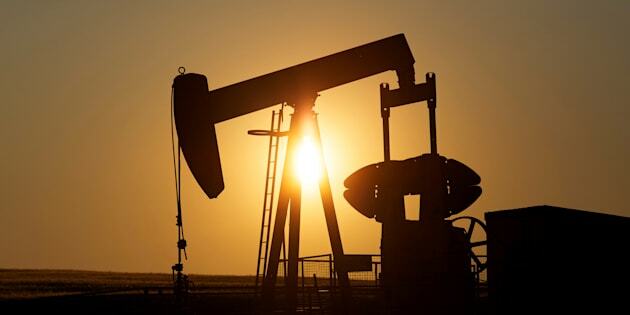 An oil pump jack pumps oil in a field near Calgary on July 21, 2014. The federal government has pledged to end fossil fuel subsidies, but a new report shows it faces an uphill climb if it intends to make good on that promise. The Overseas Development Institute, a U.K. think tank, published a report last month showing Canada leads the G7 in subsidies for oil and gas industries as a share of the country's economy. Although not all G7 countries are major oil and gas producers (Canada and the U.S. are among the top 10 in the world), the report includes support for the coal industry as well. It noted that all seven nations are "at serious risk of not delivering on their fossil fuel phase-out commitment." Countries were ranked based on their scores from seven indicators: transparency, pledges, ending support for fossil fuel exploration, coal mining, oil and gas production, fossil fuel use, and fossil fuel-based power. Thanks to its plan to phase out coal as a source of power, Canada tied for first place with France in ending support for coal mining, and ranked first for ending support for fossil fuel-based power. However, it ranked last for ending support for oil and gas production, and sixth for transparency. The report found Canada gives the largest oil and gas subsidies, as a share of the economy, of any G7 country. The report called on Canada, the U.K. and Japan to improve transparency, since they do not publish specific reports on fossil fuel subsidies. A 2016 study estimated that Canada spends $3.3 billion a year on fossil fuel subsidies, including $1.2 billion in favourable federal tax treatment of oil and gas extraction and development projects. Last year, Canada's auditor-general criticized the federal government for failing to provide information on inefficient fossil fuel subsidies. Trudeau's Liberals have pledged to end grants, tax credits, and deductions for fossil fuels, a promise they reiterated in May after announcing they would be purchasing Kinder Morgan's Trans Mountain pipeline project. According to the National Energy Board, demand for fossil fuels in Canada is expected to peak in 2019, though oil production is expected to continue to grow due to export demands for Canadian crude.